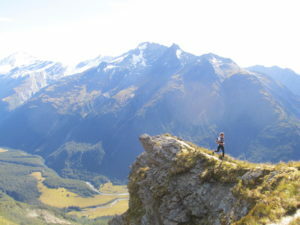 Home » Physio Wanaka Blog » General » Spring into Running! With the warmer weather and longer days, running season is upon us! Whether you are training for a specific event, keeping fit or just enjoy going out for a leisurely run, it is key to keep the injuries at bay. It is always easier to prevent injuries rather than treat them once they occur! 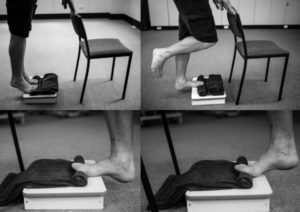 Common running injuries we see and treat regularly at Central Lakes Physio include muscle strains (usually calf, hip flexors or hamstrings), plantar fasciopathies, patello-femoral pain (knee), shin splints and tight ilio-tibial bands – just to name a few. When training for an event, ensure you increase your speed and distance gradually. 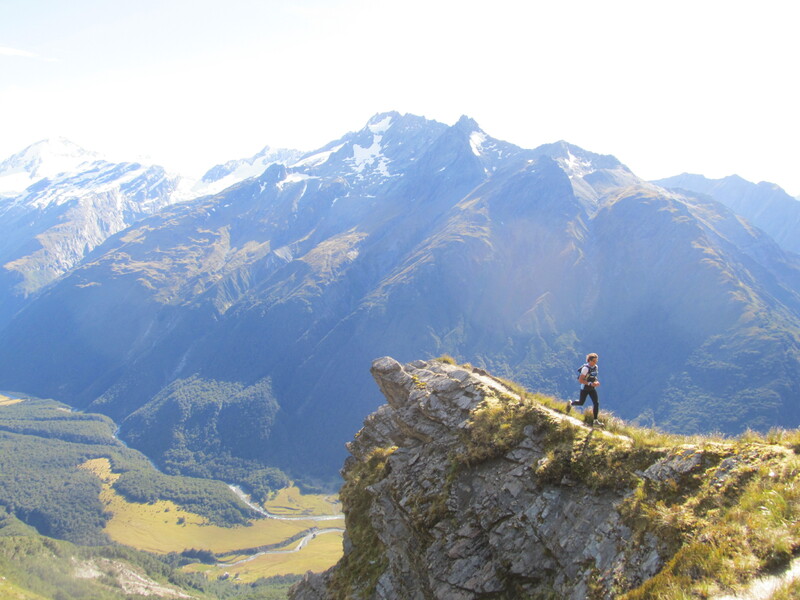 Mix your running training up – don’t just stick to increasing the kms. You should aim to do a weekly speed session – this is where you vary your speed over different distances. Cross-training by swimming, biking or rowing will help increase your cardiovascular fitness without putting the same impact stress on your joints. 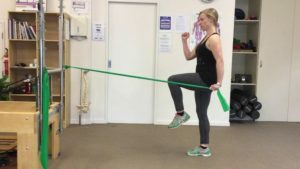 A functional strength programme will help to strengthen the muscles that are needed for running effectively. Lift your leg (same side as theraband) to 90 degrees at hip and knee, ensuring the standing leg stays strong and in the midline. At the same time, bend your opposite arm so your hand is at shoulder height. 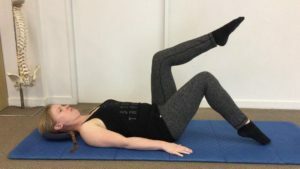 Extend the lifted leg out behind you as you lengthen the theraband arm out in front, pulling your opposite arm back to mimic a running action. And finally, make sure you are stretching, foam rolling and allowing your body adequate recovery time. If you have any niggles or injuries you would like to get sorted, come and see us at Central Lakes Physio! Call 03 443 1711 or book online today! 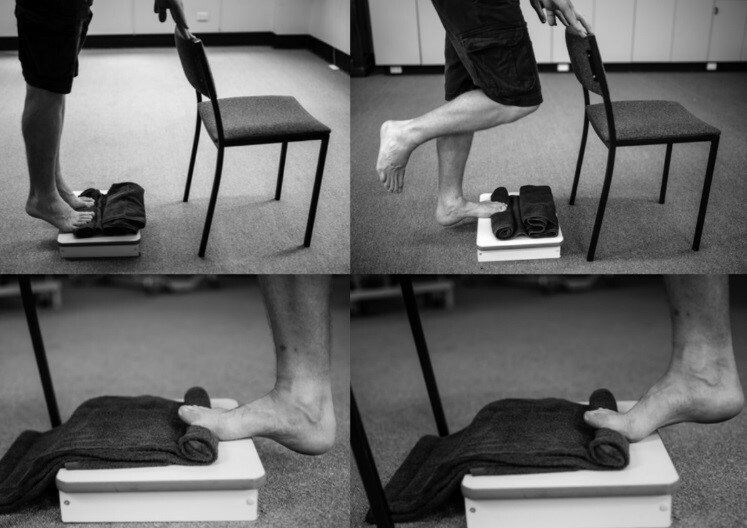 ← Bunion Prevention – Keeping you on your toes!